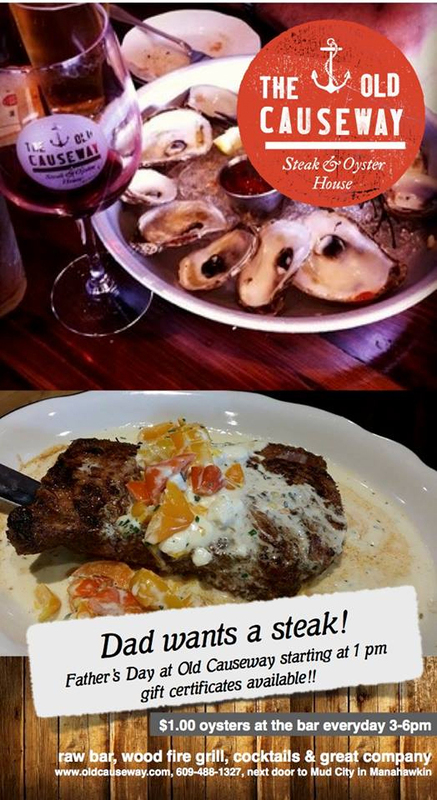 This week; Happy hour 7 days a week 3-6pm with $1 oysters, .75 cent clams, and drink specials, late night happy hour Monday through Thursday 10 pm-1 am with drink specials and late night food menu until 11 pm, full dining room opens at 4:00 pm daily, live music Friday AND Saturday nights 10-1 pm withBobby Mahoney on Friday and Captain Eric and the Shipwrecks on Saturday, and Father's Day we open at 1 pm!! Stop by and get your Father's Day gift certificates! !.